Test automation involves automating activities within the test and therefore ensuring the quality of the software. Automation allows software to always be tested in the same way, making changes (both positive and negative) visible. With the internationally recognised iSQI® CMAP Mobile App Test Automation certificate, you can prove your extensive knowledge in the field of automated mobile application testing. 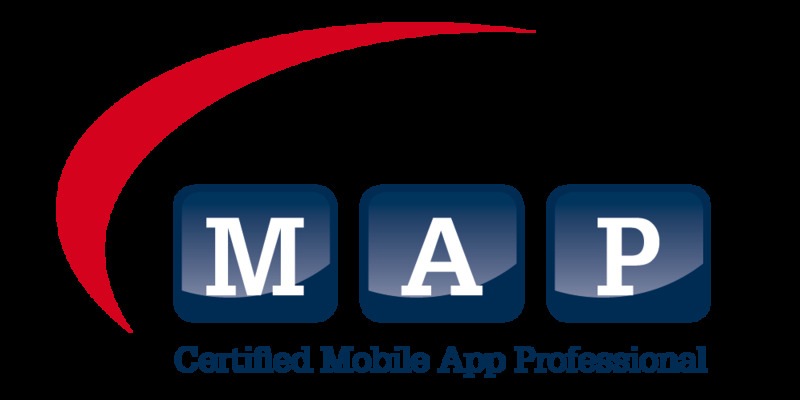 To be certified you must pass the iSQI® CMAP Mobile App Testing - Foundation Level exam. You can prepare for the exam by attending a training course with an accredited training provider for iSQI® CMAP Mobile App Test Automation certification; participants will have relevant content and topics clearly explained and taught to them. The syllabus covers an overview of the “mobile world”, “mobile applications testing challenges” and “mobile test automation”, “introduction to Selenium WebDriver”, as well as “test automation with Appium” and “choosing the right tool”. In order to sit the iSQI® CMAP Mobile App Test Automation certificate exam, you will need to have obtained the CMAP Mobile App Testing − Foundation Level or ISTQB® Certified Tester - Foundation Level certificates or be able to prove over two years of experience in the field of software testing. We recommend iSQI CMAP Mobile App Performance Testing.